Is your smile radiant? If it isn’t, the full effect may be lost behind a dull color. White, brilliant smiles stand out and deliver serious impact. 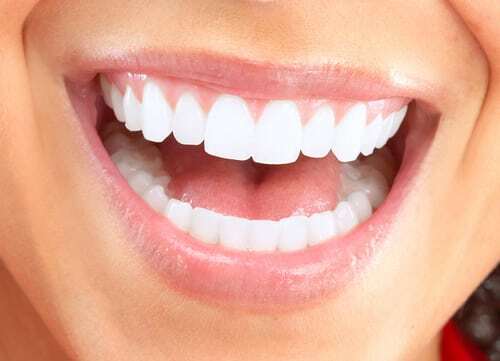 They also lend to a more attractive appearance and greater self-confidence, so if you are unhappy with the color of your smile, you might consider professional teeth whitening from your GrandPrairie dentist, Dr. Quinn Smith. 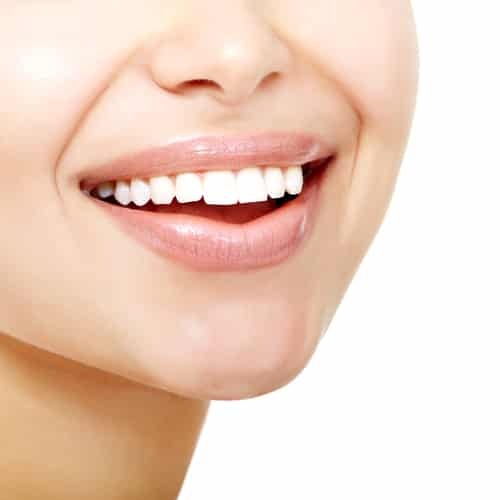 Read below as he discusses the benefits of the Zoom Whitening procedure below. 1. It is fast. On average, receiving Zoom Whiteningfrom your Grand Prairie cosmetic dentist, Dr. Smith, takes about 45 minutes. During the treatment period, Dr. Smith will first cover your gums and lips to protect them during the procedure. He will then apply a special whitening gel to your teeth, which he will activate with light. After 3 or 4 whitening cycles of about 15 minutes, the treatment will be complete, and your teeth may be as many as 8 shades lighter. 2. The results are instant. The whitening toothpastes and strips that you buy in stores offer non-dramatic results. In addition to whitening teeth only a couple of shades, the whitening process may take a very long time. The opposite is true of Zoom Whitening. The results produced by this speedy treatment are visible immediately afterwards. 3. It can improve your confidence. Research supports the idea that smiles correlate with happiness and confidence. A lot of evidence also exists to back up the idea that smiles can affect the feelings and moods of others. 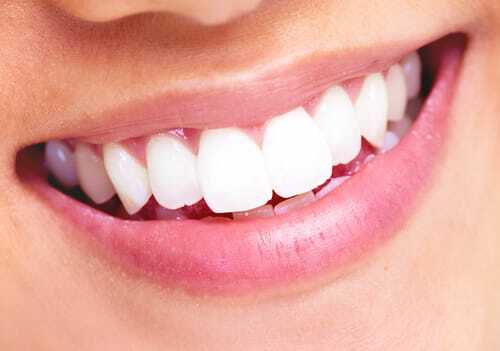 A smile, therefore, is a useful asset to have, and if you are pleased with the appearance and color of your teeth, you are likely to feel confident in your smile and in life. Have yellow teeth dulled the impact of your smile? You can change this unhappy fact in just 45 minutes. Schedule an appointment or a consultation to discuss Zoom Whiteningwith your Grand Prairie cosmetic dentist, Dr. Smith, today by calling 972-262-5111. Our 75052 dental office welcomes patients from Grand Prairie, Arlington, South Dallas, Cedar Hill, Duncanville, and surrounding communities. Do you cringe when you look in the mirror and see yellow teeth? Are you tired of hiding your dull smile? If so, teeth whitening treatment may be right for you. But did you know that the effectiveness of teeth whitening depends upon the type of stains that afflict teeth? Read below as your Grand Prairie dentist, Dr. Quinn Smith, differentiates between two types of stains and tells you which cosmetic procedures work best for each stain type. Teeth stains are often differentiated into two categories based on their location in the tooth. These two categories are intrinsic stains and extrinsic stains. Intrinsic stains exist inside the tooth and are often caused by overexposure to fluoride, some medications, and trauma to teeth. Extrinsic stains occur on the outside of teeth, and they are typically caused by overexposure to dark pigments like those found in coffee, tea, red wine, and soda. Of these two types of stains, teeth whitening treatment is effective against only one: extrinsic stains. The reason that teeth whitening treatment is ineffective against intrinsic stains is that the whitening agents used in the whitening treatment are unable to reach the stains deep within the teeth. Therefore, when it comes to intrinsic stains, other cosmetic treatments are necessary. Two treatments that are effective against intrinsic stains are veneers and dental bonding. Veneers are thin, tooth-colored shells that attach to the front surface of teeth. Dental bonding, on the other hand, uses a tooth-colored composite resin (the same material used in white fillings) to create a new and unstained surface on teeth. Both of these treatments cover or mask the stains rather than remove them, but the end result is a stain-free, brilliant smile that patients can wear with pride. Do you want a smile that makes you stand out? Contact your Grand Prairie cosmetic dentist, Dr. Smith, today by calling 972-262-5111. Our 75052 dental office welcomes patients from Grand Prairie, Arlington, South Dallas, Cedar Hill, Duncanville, and surrounding communities. Do you know when a dental crown becomes necessary? Did you know that there are several types of dental crowns? Take the following quiz from your Grand Prairie dentist and test your knowledge of dental crowns. 1. True or False: PFM (Porcelain-fused-to-metal) crowns offer the best cosmetic results of any type of dental crown. 2. True or False: Bruxism (teeth grinding) can damage teeth so that they need dental crowns. 3. True or False: PFM crowns offer superior strength to all-porcelain crowns. 1. False. All-porcelain crowns offer superior cosmetic results to PFM crowns because PFM crowns are made up of an under layer of metal to which is attached an outer layer of porcelain. While the outer layer of porcelain does add a nice cosmetic touch, the under layer of metal does not allow PFM crowns to achieve the same level of translucence exhibited by teeth and all-porcelain crowns. The under layer may also become exposed over time, resulting in a black line at the base of the crown. 2. True. Bruxism subjects teeth to powerful forces and can wear them down over time. Initially, teeth may lose only enamel. However, enamel loss can weaken teeth, making structural damage more likely. Should teeth suffer structural damage in the form of a crack, chip, or break, a dental crown is necessary to repair the damage and restore the function of the tooth or teeth. 3. True. The metal under layer of a PFM crown lends it superior strength. Because PFM crowns are stronger than all-metal crowns, they are often used in the back of the mouth, where the forces of biting and chewing are greater and teeth are less visible. Do you have a damaged tooth that needs to be repaired? Contact your Grand Prairie dentist, Dr. Smith, today at 972-262-5111 to schedule an appointment or a consultation. Located in the 75052 area, we welcome patients from Grand Prairie, Arlington, South Dallas, Cedar Hill, Duncanville, and surrounding communities. Do you have dull or yellow teeth that rob your smile of its luster? If so, you have probably looked into teeth whitening treatment. But did you know that teeth whitening treatment, while effective in most cases, is not recommended or able to remove one type of stain? To learn more about this stain type and why porcelain veneers offer a more effective solution for it, read the explanation below from your Grand Prairie dentist, Dr. Quinn Smith. Teeth stains can be categorized into two general stain types: intrinsic stains and extrinsic stains. The characteristic that separates these two stain types is location. Intrinsic stains exist within teeth, while extrinsic stains occur on the outer surface of teeth, and location is ultimate reason why teeth whitening treatment is ineffective against intrinsic stains. 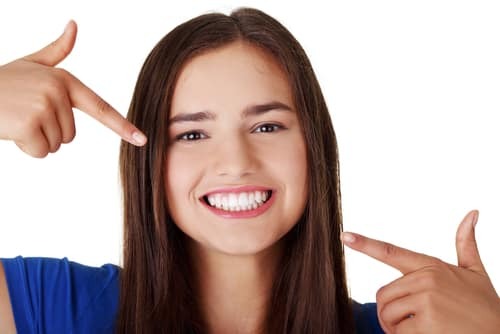 Because intrinsic stains exist within teeth, the whitening agents used in professional teeth whitening are unable to reach the stains and are, therefore, unsuccessful in removing them. Extrinsic stains, on the other hand, are easily reachable by the whitening agents and can be removed. Because teeth whitening is unable to remove intrinsic stains, cosmetic dentistry must turn elsewhere if it is to improve the appearance of teeth that have sustained these stains, and it has. Porcelain veneers are generally recommended as a solution to intrinsic stains, and they are very effective because the veneers do not seek to remove the stains, but to mask them instead. Porcelain veneers are thin, tooth-colored shells that adhere to the front surface of teeth to cover cosmetic blights. They are also strong and stain-resistant, meaning that they create a durable, new smile that patients can show off for years to come. Do you want to transform your smile? Contact our 75052 dental office to schedule an appointment or a consultation with your GrandPrairie cosmetic dentist, Dr. Smith, today by calling 972-262-5111. We welcome patients from Grand Prairie, Arlington, South Dallas, Cedar Hill, Duncanville, and surrounding communities. Do you grind your teeth? Are you sure? Oftentimes, teeth grinding, or bruxism, occurs during the night, when people are completely unaware of the damage they are inflicting on their teeth. There are, however, a few symptoms that may reveal whether or not bruxism is occurring. To learn more about these symptoms, consult the following list provided by your Grand Prairie dentist, Dr. Quinn Smith. 1. Sensitive teeth. Sensitivities in teeth can be a very big clue that bruxism is occurring during the night, especially if teeth are sensitive in the morning and if the sensitivities are recurring. The strain that bruxism places on teeth is significant and often creates soreness or tenderness. 2. A sore jaw. Teeth are not the only things subjected to strain. The jaw also feels the forces of bruxism, and oftentimes, a sore jaw will develop if bruxism becomes a habit. This soreness is sometimes accompanied by a popping or clicking noise when the mouth is opened and closed. 3. Visible wear on teeth. Over time, bruxism can strip teeth of their enamel and actually wear down teeth. When this situation occurs, the wear will become visible, and a dental professional will be able to see the damage. 4. Frequent headaches. Over a prolonged period of time, the forces of bruxism can cause what is known as a TMJ disorder. The TMJs are the jaw joints responsible for opening and closing the mouth, and when they develop a disorder, the symptoms can be seriously debilitating. Some of these symptoms include frequent headaches, migraines, facial pain, earaches, jaw pain, and a locked jaw. Thus, if you notice that you are suffering from frequent headaches, the culprit could be bruxism. If you grind your teeth, it is important that you receive treatment for your bruxism. Contact our 75052 dental office to schedule an appointment or a consultation with your Grand Prairie dentist, Dr. Smith, today by calling 972-262-5111. We welcome patients from Grand Prairie, Arlington, South Dallas, Cedar Hill, Duncanville, and surrounding communities. Over time, our teeth often become discolored due to embarrassing teeth stains. In order to return our smiles to optimal beauty, your Grand Prairie dentist, Dr. Quinn Smith, offers professional teeth whitening. Zoom! Whitening is a breakthrough in-office procedure that can brighten your smile by several shades. 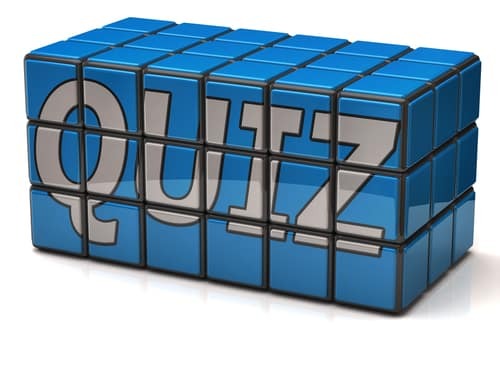 In today’s blog, Dr. Smith uses a fun and informative quiz to explain how Zoom! Whitening can boost the appearance of your smile. 1. True or False: The foods and drinks we consume can stain our teeth. 2. True or False: Your Grand Prairie cosmetic dentist offers teeth whitening. 3. True or False: Zoom! Whitening brightens smiles in under an hour. 4. True or False: There are steps you can take to help your smile stay bright. 1. True. Most teeth stains are extrinsic, meaning they occur on the surface of our teeth. Soda, coffee, tea, and red wine all contain dark pigments that discolor our teeth. Smoking also leaves unsightly yellow stains on our smiles, as well. 2. True. Dr. Smith will examine your smile and diagnose the cause and severity of your dental discoloration. Then, he will recommend the most appropriate teeth whitening solution. 3. True. Zoom! Whitening can erase stains and whiten your smile in less than an hour. First, Dr. Smith applies a bleaching gel to your teeth. Next, he uses a special light to activate the gel. Patients may obtain a gorgeous smile up to eight shades brighter. 4. True. After your procedure, try cutting down on drinks that stain your teeth, such as coffee or tea. Remember to attend routine cleanings, as well. Finally, always maintain good dental habits, such as brushing and flossing your teeth. This will help prevent the reappearance of tooth stains. Do you want a brighter smile free of embarrassing teeth stains? Then talk to your Grand Prairie cosmetic dentist today to see if our state-of-the-art Zoom! Whitening technique can improve the appearance of your smile. To schedule an appointment, contact our 75052 dental office today by calling 972-262-5111. We welcome patients from Grand Prairie, Arlington, South Dallas, Cedar Hill, Duncanville, and surrounding communities. Do you have a smile marred by dental discoloration? Embarrassing teeth stains can cause our smiles to lose their luster. Thankfully, at Pecan Tree Dental we offer an array of teeth whitening solutions to brighten your smile. In today’s blog, your GrandPrairie dentist, Dr. Quinn Smith, explains how our whitening systems can erase stains and brighten your teeth. Did you know there are two types of teeth stains? Extrinsic teeth stains form on the surface of our teeth and are caused by the drinks and foods we consume, such as soda, coffee, red wine, and tea. Smoking also leads to extrinsic discoloration. Intrinsic stains occur when the tooth structure beneath the enamel becomes discolored, usually through trauma or the use of certain antibiotics, such as tetracycline. At Pecan Tree Dental, we offer two forms of teeth whitening. Zoom! whitening is performed in-office and brightens smiles by up to eight shades in under an hour. This form of teeth whitening works great for removing extrinsic stains. We also offer a convenient at-home whitening solution. Your Grand Prairie cosmetic dentist will create a custom-made whitening tray based on an impression of your teeth. Then, he will prescribe a special bleaching formula. Simply wear the gel-filled trays daily for the amount of time recommended. In about two weeks you can notice dramatic results. At-home whitening works great for extrinsic stains and some minor intrinsic stains. In order to brighten a smile with intrinsic discoloration, we offer the latest in cosmeticdentistry. Porcelain veneers and dental bonding both offer a solution for masking the appearance of intrinsic stains. Talk to Dr. Smith for more information. Do you want a brighter smile free of unsightly discoloration? Then talk to your Grand Prairie cosmetic dentist today to see if our teeth whitening procedures can improve the appearance of your smile. To schedule an appointment, contact our 75052 dental office today by calling 972-262-5111. We welcome patients from Grand Prairie, Arlington, South Dallas, Cedar Hill, Duncanville, and surrounding communities. Did you know that tooth enamel is the hardest substance n the human body? Despite this, over time our teeth may become damaged due to injury or advanced tooth decay. When this occurs, your Grand Prairie dentist, Dr. Quinn Smith, may recommend a dental filling. A filling helps return your tooth to full function and appearance. In today’s blog, Dr. Smith answers a few commonly asked questions about dental fillings. Question: How do I know if I need a dental filling? Answer: There are multiple signs to watch for if you think you may be suffering from tooth decay and require a filling. Patients often report tooth sensitivity to hot or cold temperatures, frequent toothaches, swelling around the tooth, or pain when biting down or chewing. If you experience these symptoms, make an appointment with your Grand Prairie cosmetic dentist right away. Question: What are amalgam fillings? Answer: These are metal fillings composed of silver and a variety of other metals. Amalgam fillings are cheaper and durable than other alternatives, but contain trace amounts of mercury. Children and pregnant women should avoid receiving amalgam fillings. Question: Will my fillings look natural? Answer: Yes. In addition to amalgam fillings, we also offer composite fillings. These fillings contain no metal and blend seamlessly with your smile. As a result, composite fillings look completely natural. Question: What can I do to prevent tooth decay? Answer: In order to protect your smile, you should always attend a cleaning and a checkup once every six months. You should also practice good oral hygiene, brushing your teeth twice a day and flossing once. These simple steps help cleanse the mouth of the harmful bacteria and stray food particles that may lead to tooth decay. Do suffer from chronic toothaches or tooth sensitivity? If so, you may be experiencing the symptoms of tooth decay. Talk to your Grand Prairie cosmetic dentist today to see if our dental fillings are the best method of treating your cavity. To schedule an appointment, contact our 75052 dental office today by calling 972-262-5111. We welcome patients from Grand Prairie, Arlington, South Dallas, Cedar Hill, Duncanville, and surrounding communities. Do you want a brighter smile? Do you feel embarrassed of your smile due to dental imperfections such as misalignment or unsightly gaps between teeth? 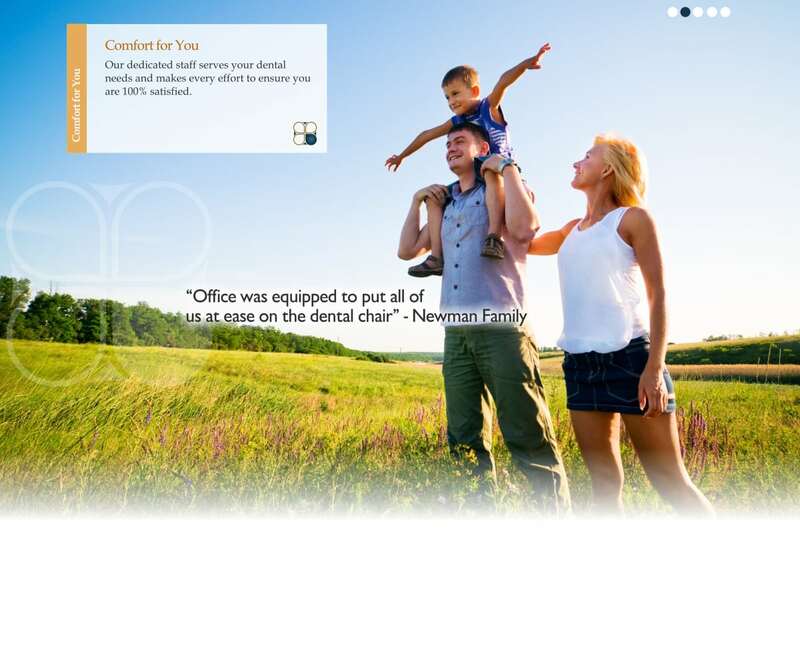 At Pecan Tree Dental, we offer patients the latest in cosmetic dentistry. In today’s blog, your Grand Prairie dentist, Dr. Quinn Smith, uses a fun and informative quiz to explain how our cosmetic procedures rejuvenate smiles. 1. True or False: Dr. Smith brightens smiles in under an hour. 2. True or False: Porcelain veneers address multiple dental imperfections. 3. True or False: Dr. Smith offers teeth whiteners you can use from home. 4. True or False: Lumineers enhance smiles without requiring the removal of tooth enamel. 5. True or False: Dental bonding restores damaged teeth. 1. True. With Zoom! Whitening, your Grand Prairie cosmetic dentist can whiten smiles with a special bleaching solution and powerful light in less than one hour. 2. True. Porcelain veneers are thin shells of porcelain placed on a patient’s front teeth. Durable and stain resistant, porcelain veneers allow Dr. Smith to mask permanent stains, correct the appearance of misalignment, reshape damaged or malformed teeth, and close gaps between teeth. 3. True. Dr. Smith will use an impression of your smile to create a custom-made whitening tray. He will then prescribe a bleaching agent. Simply wear the gel-filled trays daily for the amount of time recommended by Dr. Smith and in as little time as two weeks, you can enjoy a gorgeous, stain-free smile. 4. True. Porcelain veneers require the removal of small layers of tooth enamel to make room for the veneers. Lumineers are ultra-thin and can be placed without removing enamel. 5. True. Dr. Smith applies several thin layers of the composite material, reshaping and sculpting the tooth as the boding agent cures. Dental bonding allows Dr. Smith to repair cracked or chipped teeth. Interested in improving the appearance and health of your smile with our innovative cosmetic dental procedures? Then talk to your Grand Prairie cosmetic dentist today. To schedule an appointment, contact our 75052 dental office today by calling 972-262-5111. We welcome patients from Grand Prairie, Arlington, South Dallas, Cedar Hill, Duncanville, and surrounding communities. When you lose a tooth, you may begin to feel self-conscious about your appearance. Often, people with missing teeth go to great lengths to hide their smile. Unfortunately, missing teeth affect more than just your appearance. In fact, losing just a single tooth may threaten the stability of your smile. At Pecan Tree Dental, we understand the importance of a whole and beautiful smile and offer the perfect solution: dental implants. In today’s blog, your Grand Prairie dentist, Dr. Quinn Smith, explains how dental implants protect and preserve your smile. What happens when you lose a permanent tooth? When an adult loses a tooth, the body responds by suspending the flow of vital nutrients to the surrounding jawbone. Deprived of essential doses of calcium and phosphorus, the bone starts to degrade. Loss of bone density increases the risk of further tooth loss and may alter your facial structure. Soon, patients can develop sunken cheeks, jowls, or a ptotic chin. In addition, the healthy teeth adjacent to the missing tooth may begin to drift towards the empty socket, causing unsightly misalignment. Dental implants are composed of biocompatible posts that your Grand Prairie dentist inserts into the jaw. The bone tissue bonds with the posts, anchoring them into place. An abutment is added to the top of the posts. The abutment attaches the custom-made dental crown to the implant post, returning your tooth to full function and appearance. 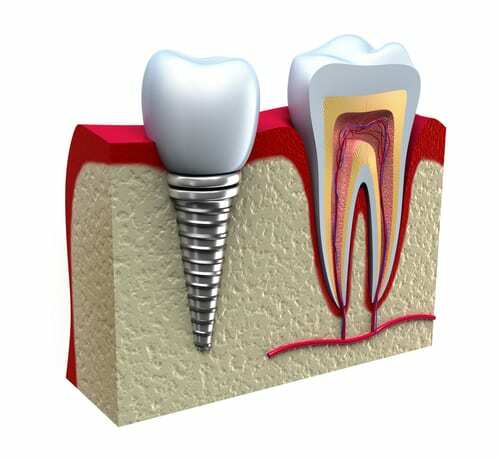 Dental implants can be used to replace a single missing tooth or even secure a full set of dentures. Dental implants offer a host of benefits. First, the body accepts implants as natural teeth. As a result, the body resumes the flow of nutrients to the jawbone, preventing loss of bone density and preserving facial structure. Implants are also long lasting, on average a dental implant can provide 25 years of quality restoration. Furthermore, implants boast a staggering 95% success rate. Do you have one or more missing teeth? Interested in restoring your smile with innovative dental implants? Then talk to your Grand Prairie dentist today. To schedule an appointment, contact our 75052 dental office today by calling 972-262-5111. We welcome patients from Grand Prairie, Arlington, South Dallas, Cedar Hill, Duncanville, and surrounding communities.